When Kevin Nicholson imagined how he would spend his summer break, he never considered it would involve an encounter with a wild black bear. But that is exactly what happened during his month-long backpacking trip across 100 miles of Alaska. Luckily, he was participating in an expedition led by the National Outdoor Leadership School (NOLS), a nonprofit organization that uses outdoor excursions to develop leadership qualities in teenagers and young adults. Kevin had prepared for this exact situation. He and his hiking group knew what they should do: make a bear call. While most people might consider this a terrifying experience, Kevin reflected on the encounter with an impressively calm demeanor. 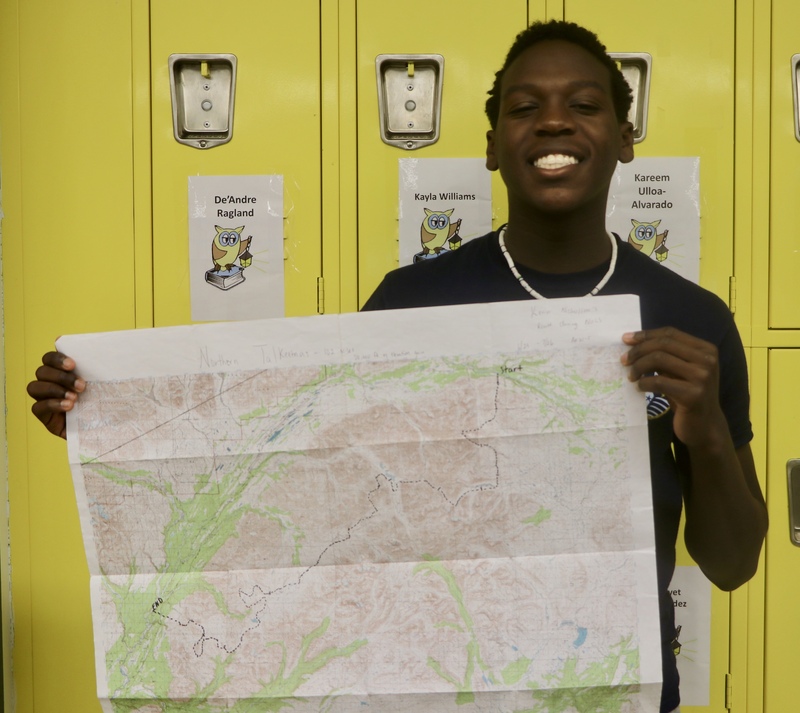 Kevin holds the map showing the 102 miles he backpacked in Alaska. 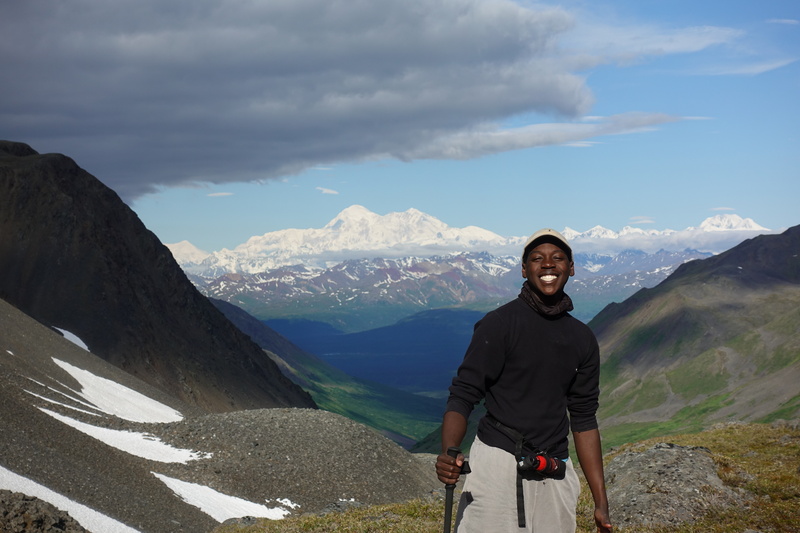 While in Alaska, Kevin received leadership training and then applied those skills under extreme conditions: in the wilderness, carrying everything he needed to survive on his back, and using a paper map and a compass to navigate to the next campsite. 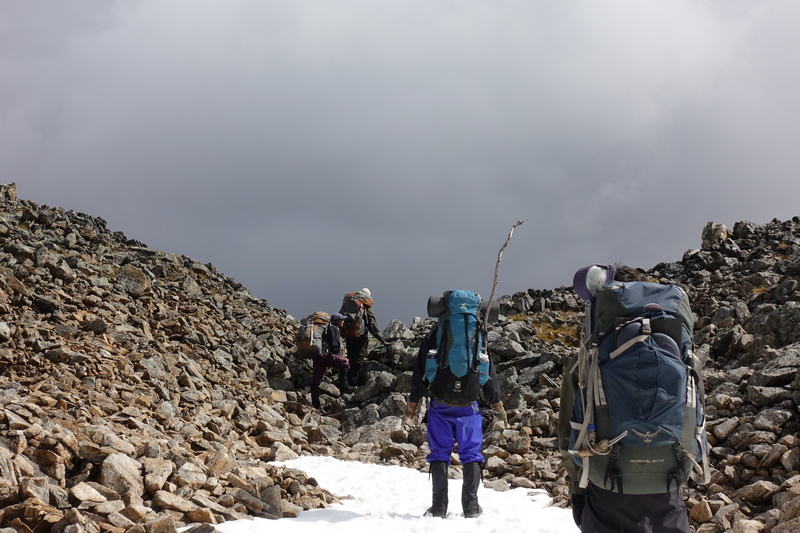 During the first seven days of the trip, counselors led backpacking excursions. Beginning on the eighth day, the students took turns leading the hikes on their own with no counselors accompanying them. During Kevin’s first day as a leader, he had to respond to a serious incident: one student fell and badly injured her arm. Kevin was responsible for creating and implementing a plan to contact the counselors (who were a mile away). He also had to make sure the injured student received medical attention and keep the group from becoming separated. Kevin felt prepared to manage the situation because of the training he had received during the program. Kevin is glad he participated in the program even though initially he wasn’t sure he wanted to. Kevin’s backpacking excursion taught him how to be an effective leader during a crisis. This skill set will serve him in many ways, even if he is unlikely to encounter a black bear in Harlem anytime soon. Interested in learning more about similar experiences for a scholar or scholars at your campus? Visit DP’s Global Citizens Travel Opportunities page for ideas and resources.